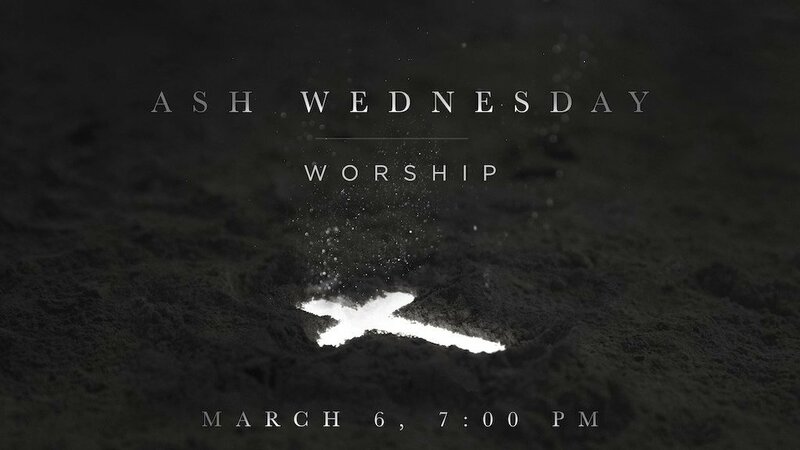 Join us for Ash Wednesday worship and the beginning of the season of Lent on Wednesday, March 6, at 7 PM. Ash Wednesday worship will include the Imposition of Ashes and Holy Communion. It is a solemn worship service to begin this reflective season in the church year. This worship helps to set the tone for our faith life for the next six weeks. The season of Lent is a 40 day period (excluding Sundays) leading up to the celebration of Easter. This time is marked with the theme of repentance. The “ashes” in Ash Wednesday are a symbol of sorrow. In Bible times, people would put on “sackcloth and ashes” in times of mourning. During Lent, we grieve our sin and the result of sin which is death. We remember the great sacrifice of Jesus, that he died on the cross to forgive sins. The climax of this season is Good Friday, which is the day which we observe Jesus’ death. But the sorrow of Good Friday soon gives way to the joy of Easter when we celebrate the resurrection. The sorrow may last for the night, but joy comes in the morning (Psalm 30:5). So even though the season of Lent is filled with sorrow and grief, it is always observed in the light Easter.